Yevgeniy N, 29-year-old, alleged Russian Hacker, was arrested after Interpol issued a warrant. Police detained the individual at a hotel in the city's center 12 hours after receiving the order. Officials say he was living in the country with his girlfriend and enjoying a lavish lifestyle, driving expensive cars. Neither the Czech police nor the FBI has issued any details on the charges that led to the arrest of the suspect. "Czech police carried out a successful joint operation with the US Federal Bureau of Investigation," the police said. "This time the objective of the police was a Russian national, suspected of committing hacker attacks on targets in the United States." Soon after the hacker was arrested in the hotel in Prague, he fainted and lost consciousness. Police provided him first aid and later took him to a hospital. The arrest took place a week after the Obama administration formally accused Russia of hacking US institutions in an attempt to influence the presidential election. 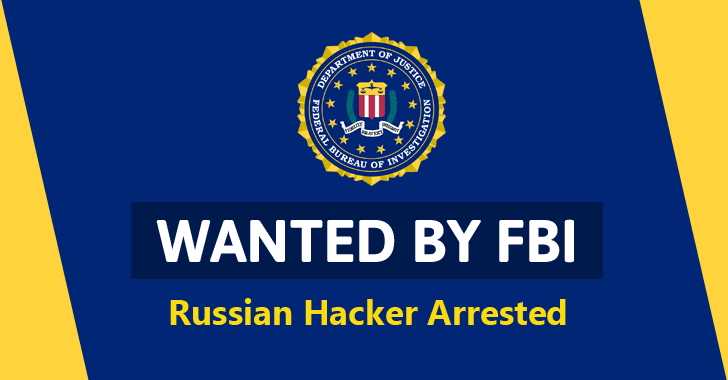 So, it has been suspected that the arrested man could be involved in hacking against the Democratic National Committee, or its presidential candidate Hillary Clinton, or other alleged cyber incursions of the voter databases in some states. According to the authorities, the Czech judiciary will take the decision on the hacker's extradition to the United State, where he is facing charges for his hacking-related crimes. The Hacker News will update the story as soon as the authorities disclose the name and other details about the arrested hacker. Stay Tune!